CLEARWATER, Fla. — Will the Clearwater 'stand your ground' shooting suspect’s past come back to haunt him? The man who admitted to shooting and killing a father outside a Clearwater convenience store was known to have a temper and pull out his gun, documents show. Nearly a month after the July 19 shooting, Michael Drejka was arrested and charged with manslaughter. 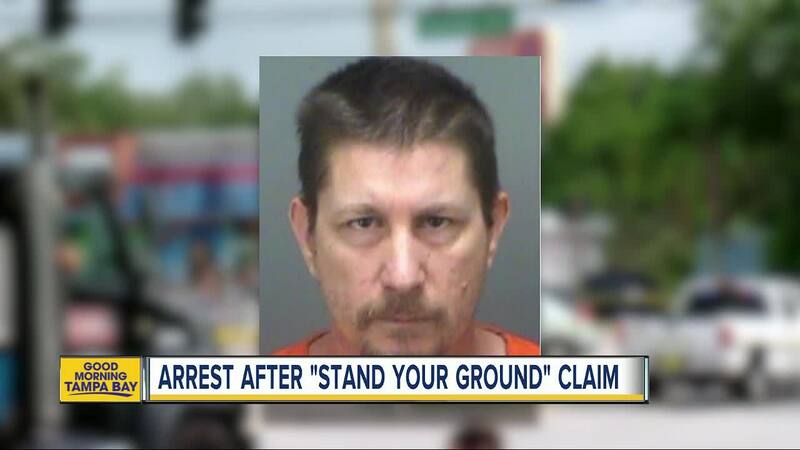 Initially, Drejka was not charged because Pinellas County Sheriff Bob Gualtieri said Drejka was protected under Florida’s stand your ground law. The investigation was handed over to the Pinellas-Pasco State Attorney’s Office. According to their arrest warrant, they concluded that Drejka was not acting in self-defense when he fired that fatal shot. The warrant also shows that three months before McGlockton was killed, Drejka got into a confrontation with the driver of a septic truck that illegally parked a handicap spot. The Pinellas County Sheriff’s Office was contacted by Richard Kelly, who told investigators “he was confronted by Michael Drejka at the Circle A Food Store. Drejka argued with Kelly and the exchange became very loud. Kelly indicated at some point, Michael Drejka told him he was going to shoot him,” the warrant states. As Kelly was getting into his truck to leave he told investigators “Drejka directed racial slurs towards him." What impact could these cases have on the Clearwater shooting? “Hard to bring evidence in,” Jeff Swartz, a legal analyst for ABC Action News said. Drejka was booked into the Pinellas County jail on a $100,000 bond. If convicted on the manslaughter charge with a firearm Drejka faces a mandatory minimum of 10 years in prison.